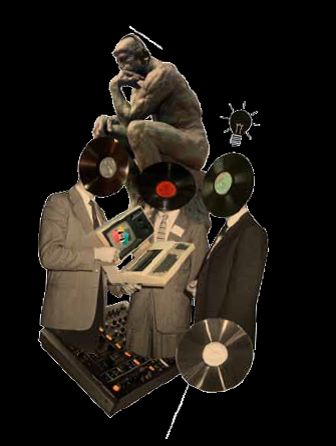 It is not internet piracy or declining CD sales that are the real problems of the music industry today. The musicians and composers have got a lot of new opportunities that are sadly overlooked by many. ISE researcher Rasmus Rex Pedersen explains this in a recent article in the magazine of the association of Danish composers and song writers. 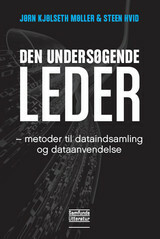 Last summer , ISE-researcher Jørn Kjølseth Møller and co-author Steen Hvid, censor at Business Studies, published the book The Investigating Leader (in Danish “Den Undersøgende Leder”) about methods for data collection and application in leadership and management. The book is now being used for teaching at several Danish universities, and has recently been reprinted (second printing) by the publisher Samfundslitteratur. The book provides an overview of social science methods for collection and use of data, and how these in a qualified way can be used for empirical investigations as part of being a leader or manager. It is data collection from the manager or leader’s perspective, and the book combines short accounts of theory with practical examples from different management situations. In this way, the social science methods are related to the practical leadership and management tasks, that many leaders and managers have, and which often means that they have to deal with the role as data collector and user of data in his/her own organization.